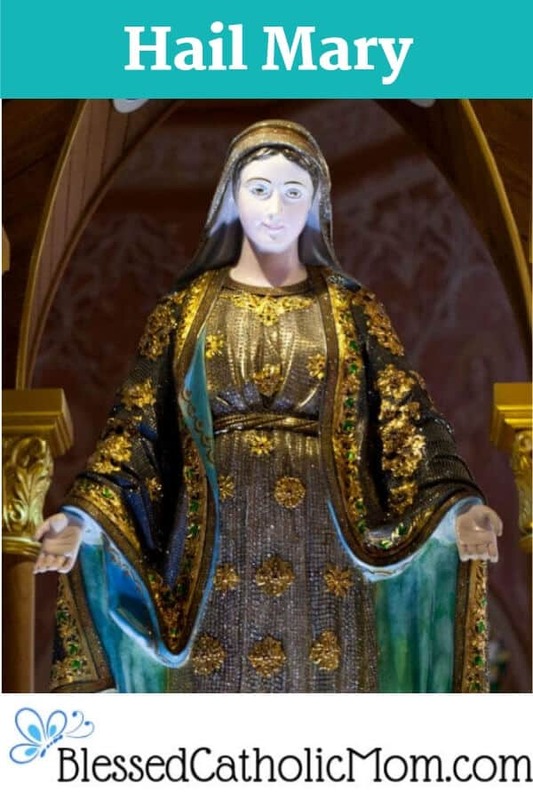 Hail Mary - With words from the Bible, we ask Mary to pray for us. The Hail Mary prayer uses words from the Bible. When we pray it we echo the Archangel Gabriel’s and Elizabeth’s words. We also ask Mary to pray for us. See Luke 1: 28 and (41-)42.